PATTERSON, WILLIAM ST.GEORGE, son of Andrew Todd Patterson, Liverpool ; b. 23 Apr 1816 ; adm. 15 Jun 1829 (G) ; KS 1830 ; elected to Trinity Coll.Cambridge 1834, adm.pens. 13 Jun 1834, scholar 1835, matr. 1834, readm. as pens. 24 Oct 1838 ; migrated to Trinity Coll.Dublin, adm. pens. 6 Nov 1835 ; BA 1840 ; MA 1843 ; ordained deacon 19 Dec 1841, priest 18 Dec 1842 (both Chichester) ; Curate, Brede, Sussex 1841 ; Priest Vicar, Divinity Lecturer and Succentor, Lichfield Cathedral, from 1846 ; m. 14 Aug 1848 Christina Septina James (IGI) ; d. 7 Sep 1890. WOOLLCOMBE, HENRY, son of Rev.Henry Woollcombe, Rector of Ashbury, Devon, and Jane Frances, dau. of Rear-Adm.Sir Thomas Louis, Bart. ; b. 26 Mar 1813 ; adm. 18 Jan 1826 ; KS (Capt.) 1827 ; Capt. of the School 1830 ; elected head to Christ Church, Oxford 1831, matr. 21 May 1831, Westminster Student ; 1st cl.Classics and 2nd cl.Mathematics 1834 ; Johnson Theological Scholar 1835 ; BA 1834 ; MA 1837 ; adm.Lincoln’s Inn 16 Apr 1836 ; ordained deacon 10 Jun 1838, priest 26 May 1839 (both Oxford) ; Curate, Sheepwash and Highampton, Devon 1838-44 ; Prebendary of Exeter 8 Dec 1843 ; Rector of Kingsteignton, Devon 1844-58 ; Vicar of Heavitree, Devon 1858-69 ; Canon Residentiary of Exeter 1861 ; Archdeacon of Barnstaple Oct 1865 ; m. 14 May 1846 his cousin Jaquete Elizabeth, dau. of Capt.Charles Belfield Louis, Royal Navy ; d. 4 Jun 1885. HARRISON, HENRY, son of Rev.William Bagshaw Harrison, Vicar of Goudhurst, Kent, and Charlotte Tonkin ; b. 27 Mar 1813 ; adm. 17 Jan 1826 ; KS 1827 ; rowed v.Eton 1831 ; Trinity Coll.Cambridge, adm.pens. 6 Jul 1831, matr.Mich.1831 ; BA 1835 ; MA 1838 ; ordained deacon 5 Jun 1836, priest 8 Oct 1837 (both Canterbury) ; Curate, Goudhurst, Kent 1836-40 ; Vicar of Kilndown, Goudhurst, Kent, from 1840 ; Chaplain to Ticehurst Union 1853 ; m. 9 Sep 1840 Emily, dau. of Richard Springett, Finchcox Park ; d. 28 Sep 1892. ELLISON, HENRY JOHN, brother of George Thomas Ellison (qv) ; b. 7 Jun 1813 ; adm. 30 Jun 1820 ; KS 1827 ; rowed against Eton 12 May 1831 ; elected to Trinity Coll.Cambridge 1831, adm.pens.26 May 1831, scholar 1832, matr.Mich.1831 ; BA 1835 ; MA 1838 ; ordained deacon (Ely) 27 May 1838, priest (Norwich) 5 Jan 1840 ; Perpetual Curate of All Saints, Brighton, Sussex 15 Jul 1843 ; Vicar of Edensor, Derbs., 1845-55 ; Vicar of New Windsor, Berks., 6 Oct 1855-75 ; Rector of Great Haseley, Oxfordshire 1875-94 ; Prebendary of Lichfield 1854-73 ; Hon.Canon, Christ Church, Oxford 1873-94 ; Hon.Canon, Canterbury, from 1894 ; Reader at Windsor Castle 1856-75 ; Chaplain in Ordinary to Queen Victoria from 1879 ; founder, Church of England Temperance Society ; author, Sermons and Addresses on Church Temperance Work, 1895 ; m. 27 Apr 1854 Mary Dorothy, eldest dau. of Maj.-Gen.Sir Joshua Jebb, Surveyor-Gen. of HM Prisons ; d. 25 Dec 1899. HUE, CLEMENT BERKELEY, eldest son of Clement Hue MD FRCP, Guilford Street, London, Physician to St.Bartholomew’s Hospital, and Lucy, eldest dau. of Rev.Rowland Berkeley LLD, Vicar of Writtle, Essex ; b. 2 Oct 1812 ; adm. 2 Jun 1826 (G) ; KS 1827 ; rowed against Eton 12 May 1831 ; elected head to Trinity Coll.Cambridge 1831, adm.pens. 26 May 1831, scholar 1832, matr.Mich.1831 ; Chancellor’s Medal for English Verse 1833 ; BA 1835 ; MA 1839 ; adm.Lincoln’s Inn 30 Apr 1835 ; ordained deacon 11 Dec 1836, priest 7 Jul 1839 (both Winchester) ; [query, clerical career ?] ; m. Elizabeth, dau. of Edward Curtis ; d. 6 Feb 1893. 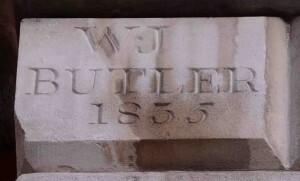 BUTLER, WILLIAM JOHN, eldest son of John Laforey Butler, Finchley, Middlesex, London merchant and banker, and Henrietta, dau. of Capt.Robert Patrick ; b. 10 Feb 1818 ; adm. (G) 7 Oct 1830 ; KS 1832 ; rowed v.Eton 12 May 1836 ; elected to Trinity Coll.Cambridge 1836, adm.pens. 2 Jun 1836, scholar 1837 ; BA 1840 ; MA 1844 (incorp.Oxford 1847) ; DD 1885 ; ordained deacon 1841, priest 1842 (Winchester) ; Curate, Dogmersfield, Hants., 1841-3, Puttenham, Surrey, 1843-4 ; Perpetual Curate of Wareside, Herts., 1844-6 ; Vicar of Wantage, Berks., 1846-80 ; founder and Warden of Penitential Sisterhood of St.Mary, Wantage, 1850 ; elected Bishop of Natal by diocesan synod 25 Oct 1866, but his election was disapproved by Archbishop Longley ; Hon.Canon, Christ Church, Oxford, 1872 ; Canon of Worcester 1880-5 ; Dean of Lincoln from 15 Jul 1885 ; a Busby Trustee from 25 May 1889 ; author, Sermons for Working Men, 1847, and other works ; m. 29 Jul 1843 Emma, dau. 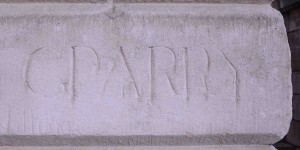 of George Henry Barnett, Glympton Park, Oxfordshire, banker ; d. 14 Jan 1894. DNB. 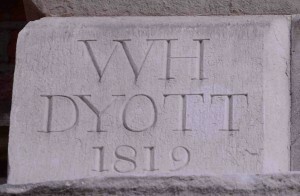 DYOTT, WILLIAM HERRICK, brother of Richard Dyott (qv) ; b.13 Nov 1809 ; adm.16 Jun 1819 ; KS 1824 ; elected to Trinity Coll.Cambridge 1828, adm.pens.16 May 1828, scholar 1829, matr.Mich.1828, readm.pens.13 Jan 1833 ; BA 1834 ; MA 1837 ; ordained deacon 25 May 1834, priest 14 Jun 1835 (both Lincoln) ; Vicar of Ansty, Warwicks., from 1844 ; Domestic Chaplain to Stapleton Cotton, 1st Viscount Combermere (qv), Nov 1844 ; m. 21 Jan 1846 Matilda Sophia, third dau. of Donatus O’Brien, Tixover House, Rutland ; d. 26 Oct 1883. STEDMAN, JOHN, only son of John Stedman, Chester [presumably adm.1800, qv] ; b. 20 Jul 1817 ; adm. 18 Jan 1831 ; KS 1831 ; elected to Trinity Coll.Cambridge 1835, adm.pens. 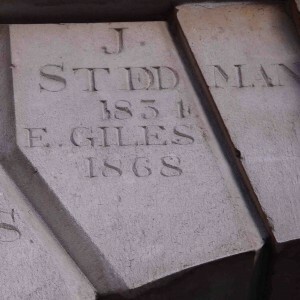 27 Jun 1835, scholar 1836 ; adm,.Lincoln’s Inn 10 Jun 1835, called to bar 15 Jun 1840 ; equity draftsman and conveyancer ; signed Play Protest 1847 as “John Stedman, jun.” ; d. 4 May 1872. GILES, EDWARD, fourth son of Ven.John Douglas Giles, Rector of Willoughby, Lincs., and Archdeacon of Stow, and Sarah Elizabeth, second dau. of James Tuthill Allen, Burnham, Somerset ; b. 6 Jun 1849 ; adm. 5 Feb 1863, as BB ; QS 1864 ; elected to Christ Church, Oxford 1868, matr. 3 Jun 1868 ; rowed against Cambridge 1871 ; 1st cl.Modern History 1872 ; BA 1872 ; MA 1883 ; Indian Civil Service, Educational Dept., Bombay ; arrived in India 14 May 1873 ; Professor of History and Political Economy, Elphinstone Coll., Bombay 1873-5 ; Educational Inspector May 1875 ; Director of Public Instruction, Bombay Presidency Apr 1897-1907 ; additional member, Legislative Council, Bombay 1898, 1901, 1904, 1906 ; officiating Director-Gen. of Education, India Mar 1907 – Mar 1908 ; retd. 29 Mar 1908 ; CIE 1 Jan 1903 ; m. 19 Jan 1878 Rose Ethel Louise, only dau. of Gen.Sir John William Schneider KCB, Bombay Army, previously EICS Bombay ; d. 18 Apr 1938. GWILT, CHARLES PERKINS, eldest son of Joseph Gwilt FSA, Abingdon Street, Westminster, architect, and Louisa, third dau. of Samuel Brandram, London, merchant ; b. 4 Jan 1809 ; adm. 8 Apr 1818 ; KS 1823 ; left 1827 ; Christ Church, Oxford, matr. 30 May 1827 ; BA 1831 ; adm.Middle Temple 26 Apr 1827 ; devoted himself to heraldic and literary pursuits ; d. 22 Dec 1835. DNB (s.v.Joseph Gwilt). 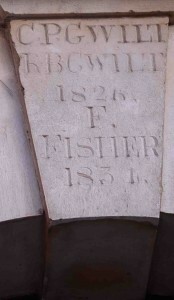 FISHER, FREDERICK, fourth son of Robert Fisher (adm.1783, qv) ; b. 3 Jul 1816 ; adm. 30 Jun 1830 ; KS 1831 ; elected to Trinity Coll.Cambridge 1835, adm.pens.27 Jun 1835, scholar 1836, matr.Mich.1835 ; migr. to Magdalene Coll. 26 Oct 1836 ; BA 1840 ; MA 1843 ; ordained deacon (New Zealand) 1847, priest (Salisbury) 1853 ; missionary with SPG at Howick, New Zealand 1847-9 ; Curate, Bremhill, Wilts., 1850 ; various other curacies to 1869 ; Vicar of Fleet, Hants., 1869-72 ; Rector of Downham, Cambs., from 1863 ; m.1 Feb 1849 Mary, younger dau. of William Hayes, Middle Temple, barrister ; d. 10 Jun 1884. BOVILL, SIR ELLIOT CHARLES, brother of William Edward Bovill (qv) ; b. 23 Apr 1848 ; adm. 28 Jan 1857 [check] ; QS 1863 ; elected to Christ Church, Oxford 1867, matr. 12 Jun 1867 ; BA 1871 ; adm.Lincoln’s Inn 23 Apr 1869, called to bar 27 Jan 1873 ; equity draughtsman and conveyancer ; hon.sec., Elizabethan Club, 1873-9 ; Assist.Judicial Commissioner, Cyprus, 1879-81, Judicial Commissioner 1881-3, Chief Justice 1883-92 ; knighted 11 Aug 1884 ; Chief Justice of the Straits Settlements from 13 Aug 1892 ; m. 27 Jul 1876 Anna, younger dau. of Rev.John Tahourdin White DD, Rector of St.Martin’s, Ludgate, London ; d. at Singapore 24 Mar 1893. DUNLOP, JAMES, son of John Dunlop, Petersburg, Virginia, USA, and Mary Ruffin Gillian ; b. 7 Aug 1805 ; adm. (G) 15 Jan 1816 ; lived for some years in Netherlands and afterwards settled in USA ; agent of the Clyde Ironworks owned by the Dunlop family in America ; d. 1870. MAHONY, JOHN, brother of Robert Hickson (qv) ; b. 1816 ; assumed surname of Mahony in lieu of Hickson 11 Dec 1827, in compliance with will of maternal uncle ; adm. 15 Apr 1830 ; KS 1831 ; elected to Christ Church, Oxford 1835, matr. 4 Jun 1835, Westminster Student ; BA 1839 ; MA 1842 ; adm. King’s Inns, Dublin 1840, and Middle Temple 23 Apr 1844 ; signed Play Protest 1847. Date 1831. PHILLIMORE, SIR ROBERT JOSEPH, BART., third son of Joseph Phillimore (b.1775, qv) ; b. 5 Nov 1810 ; adm. 1 Feb 1820 (G) ; KS 1824 ; elected head to Christ Church, Oxford 1828, matr. 16 May 1828, Westminster Student ; BA 1832 ; MA 1834 ; BCL 1835 ; DCL 1838 ; Clerk, Board of Control 20 Feb 1832 – 6 Apr 1835 ; adm.Middle Temple 17 Nov 1837, called to bar 7 May 1841, Bencher 1858, Treasurer 1859 ; adm.advocate, Doctors’ Commons 2 Nov 1839 ; Chancellor, Dioceses of Chichester 1844, Salisbury 1845 and London 1855 ; QC 16 Jan 1858 ; MP (Peelite/Liberal) Tavistock Feb 1853-7 ; Admiralty Advocate 1855-62 ; Judge of Cinque Ports 1855-75 ; Queen’s Advocate 1862-7 ; knighted 17 Sep 1862 ; Dean of Arches 1867-75, Master of the Faculties 1873-5 ; Judge of High Court of Admiralty 1867-75 ; Privy Councillor 3 Aug 1867 ; Judge of Probate, Divorce and Admiralty Division, High Court of Justice 1875-83 ; Judge Advocate-General 17 May 1871 – Aug 1873 ; created baronet 28 Dec 1881 ; a personal friend and political supporter of Gladstone ; gave evidence before the Public Schools Commission 23 Jun 1862 (Parliamentary Papers 1864, vol.xxi, pp 428-32) ; Busby Trustee 19 May 1868- Jun 1884 ; Governor of the School from 1869 ; benefactor to the School ; President, Elizabethan Club, from 1876 ; translated Lessing, Laocoon 1874 ; author, Commentaries on International law, 1854-61, and other legal works ; m. 19 Dec 1844 Charlotte Anne, third dau. of John Denison MP, Ossington Hall, near Newark, Notts. ; d. 4 Feb 1885. DNB. COTTON, GEORGE EDWARD LYNCH, only son of Capt.Thomas D’Avenant Cotton, 7th Foot, and Mary Headley Burnley, Halifax, Nova Scotia ; grandson of George Cotton (qv) ; b. 29 Oct 1813 ; adm.(G) 17 Jan 1825 ; KS 1828 ; elected head to Trinity Coll.Cambridge 1832, adm.pens. 11 Jun 1832, scholar 1833, matr.Mich.1832 ; 8th Classic and 40th Senior Optime 1836 ; BA 1836 ; MA 1839 ; DD 1858 (incorp.Oxford 3 Jun 1858) ; Minor Fellow, Trinity Coll. 1838, Major Fellow 1839 ; Assistant Master, Rugby School, 1837-52 (the “young master” of Tom Brown’s Schooldays) ; Headmaster, Marlborough Coll., 1852-8 ; ordained deacon 1 Feb 1839, priest 9 Jun 1839 (both Worcester) ; Bishop of Calcutta from 1858 ; consecrated in Westminster Abbey 13 May 1858 ; established schools for the education of poor European and Eurasian children ; m. 26 Jun 1845 his cousin Sophia Anne, dau. of Rev.Henry Tomkinson, Reaseheath Hall, Cheshire, Vicar of Acton, Cheshire ; accidentally drowned in the Ganges at Kushtia 6 Oct 1866. DNB. 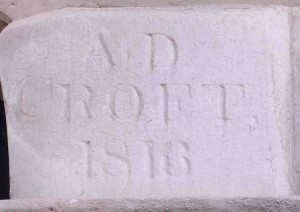 Date on arch 1832. PHILLIMORE, JOHN GEORGE, eldest son of Joseph Phillimore (KS 1789, qv) ; b. 5 Jan 1808 ; adm. 22 Oct 1817 (G) ; KS 1820 ; elected to Christ Church, Oxford 1824, matr. 28 May 1824, Westminster Student 1824-36, Faculty Student 1836- ; BA 1828 ; MA 1831 ; Junior Clerk, Board of Control 1827-32 ; adm.Lincoln’s Inn 5 Feb 1828, called to bar 23 Nov 1832, Bencher Mich.1851 ; QC 8 Jul 1851 ; Reader in Constitutional Law and legal History to Inns of Court 1852 ; MP (Whig/Liberal) Leominster 1852-7 ; author, An Introduction to the Study and History of the Roman Law, 1848, and other works ; m. 1 Aug 1839 Rosalind Margaret, younger dau. of Right Hon.Sir James Lewis Knight-Bruce PC, Lord Justice of Appeal ; d. 27 Apr 1865. DNB. 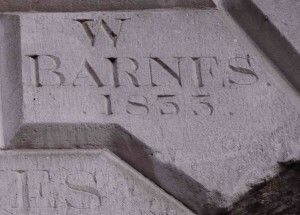 BARNES, RALPH, eldest son of Frederick Barnes (adm.1785, qv) ; b. 8 Oct 1810 ; adm. 15 Jan 1823 ; KS 1824 ; elected to Christ Church, Oxford 1829, matr. 2 Jun 1829, Westminster Student ; rowed in University Eight v. Leander at Henley 20 Jun 1831 ; BA 1833 ; MA 1835 ; ordained deacon 18 Dec 1836, priest 10 Jun 1839 (both Oxford) ; Vicar of Ardington, Berks., 4 Apr 1839 ; Vicar of 3rd portion of Bampton, Oxfordshire 1844 (dispensation to hold with Ardington, 1844) ; Vicar of Bampton Aston, Oxfordshire 1857 ; extracts from the diary which he kept when at Oxford were used by Sherwood, Oxford Rowing, 1900 ; m. 11 Aug 1870 Charlotte St.Leger, dau. of Charles James Fox Combe, Cobham Park, Surrey ; d. 21 Apr 1884. 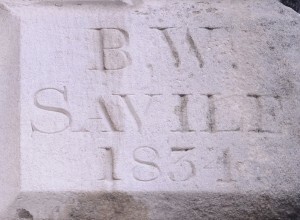 SAVILE, BOURCHIER WREY, second son of Albany Savile MP, Oaklands, Devon, and Eleonora Elizabeth, dau. of Sir Bourchier Wrey, Bart. ; b. 11 Mar 1817 ; adm. 23 Jan 1828 ; KS 1831 ; left 1835 ; Emmanuel Coll.Cambridge ; BA 1839 ; MA 1842 ; ordained deacon (Worcester) 26 Jul 1840, priest (Winchester) 11 Jul 1841 ; Curate, Halesowen, Shropshire 1840-1 ; Vicar of Okehampton, Devon 1841 [check] ; Rector of Dunchideock, with Shillingford St.George, Devon, from 1872 ; author, Anglo-Israelism and the Great Pyramid, 1880, and theological works ; m. 28 Apr 1842 Mary Elizabeth, third dau. of James Whyte, Pilton House, Devon ; d. 14 Apr 1888. DNB. DUNLOP, DONALD MACKENZIE, brother of James Dunlop (qv) ; b. 29 Oct 1806 ; adm. (G) 15 Jan 1816 ; KS 1821 ; Capt. of the School 1825 ; elected to Trinity Coll.Cambridge 1826, adm.pens.9 Jun 1826, scholar 1827, matr.Mich.1826 ; adm.advocate 16 Dec 1829; adm.Inner Temple 10 May 1827, called to bar 6 Jun 1834 ; practised as a barrister in Bath ; m. 3 Jun 1845 Eliza Herculina, eldest dau. of Col.William Swinton, EICS Bengal ; d. 30 Dec 1874. WEARE, THOMAS WILLIAM, elder son of Col.Thomas Weare KH, Hampton House, Hereford, ADC to Queen Victoria, and Anne, dau. of John Pugh, Gaer, Radnorshire ; b. 2 Nov 1813 ; adm. 16 Jan 1826 (G) ; KS 1828 ; rowed v.Eton 12 May 1831 ; elected to Christ Church, Oxford 1832, matr. 7 Jun 1832, Westminster Student ; BA 1836 ; MA 1838 ; ordained deacon 1839, priest 1840 (both Oxford) ; Curate, East Sutton, Kent ; Under Master of the School 27 Sep 1841 – Aug 1861 ; Rector of Isfield, Sussex, from 27 Aug 1867 ; gave evidence before the Public Schools Commission 21 Jun 1862 (Parliamentary Papers 1864, xxi, 402-11) ; composed the inscription on the Crimean War Memorial, and a number of epilogues and epigrams ; author, The Trinummus of Plautus, translated into English Verse by an Old Westminster, 1860 ; m.1st, 23 Aug 1853 Louisa Emma Mary, dau. of Henry Fynes-Clinton (qv), and his first wife ; m.2nd. 17 Apr 1866 Henrietta Maria, third dau. of Capt.William Henry Majendie, 1st Foot Guards ; d. 24 Feb 1871. CROFT, SIR ARCHER DENMAN, BART., brother of Sir Thomas Elmsley Croft, Bart. (qv) ; b. 7 Dec 1801 ; adm.Mich.1813 ; left 8 Aug 1816 ; adm.Lincoln’s Inn 21 Aug 1820, called to bar 30 Apr 1839 [check] ; succ. his brother as 8th baronet 29 Oct 1835 ; a Master, Court of Queen’s Bench 1837-64 ; m. 31 Aug 1837 Julia Barbara, widow of Athelstan Corbet, Ynys-y-Maengwyn, Merionethshire, and youngest dau. of Major-Gen.John Garstin, EICS Bengal, successively Surveyor-Gen. and Chief Engineer, Bengal ; d. 10 Jan 1865. CROFT, SIR THOMAS ELMSLEY, BART., third but eldest surviving son of Sir Richard Croft, Bart., MD, and Margaret, dau. of Thomas Denman MD ; b. 2 Sep 1798 ; adm.Lady Day 1811 ; left 1813 ; Ensign, 1st Foot Guards 28 Apr 1814, half-pay 2 Mar 1820, retd. 29 Mar 1831 ; severely wounded at battle of Quatre Bras 16 Jun 1815 ; succ.father as 7th baronet 13 Feb 1818 ; FSA ; m.9 Sep 1824 Sophia Jane, only child of Richard Lateward-Lateward, Grove House, Perivale, Middlesex ; d. 29 Oct 1835. FARRER, MATTHEW THOMAS, second son of James William Farrer, Ingleborough, Yorkshire, a Master in Chancery, and Henrietta Elizabeth, widow of Hon.John Scott MP, and only dau. of Sir Matthew White Ridley, Bart. (b.1745, qv) ; b. 3 Feb 1816 ; adm. 19 Jan 1829 (G) ; KS (Capt.) 1830 ; elected head to Trinity Coll.Cambridge 1834, adm.pens. 13 Jun 1834, scholar 1835, matr.Mich.1834 ; BA 1838 ; MA 1841 ; ordained deacon 1840, priest 1841 (both Canterbury) ; Domestic Chaplain to John Scott, 2nd Earl of Elgin 1840 ; Vicar of Shirley, Surrey 1841-79 ; Vicar of Addington, Surrey 1843-67 ; inherited Ingleborough property on the death of his elder brother James in Jun 1879 ; m. 1st, 8 Aug 1843 Frances Emma, eldest dau. of Edward Golding, Maiden Erlegh, Berks. ; m.2nd, 8 Jul 1848 Mary Louisa, eldest dau. of Gen.Sir William Anson, Bart. KCB ; d. 14 Jul 1889. 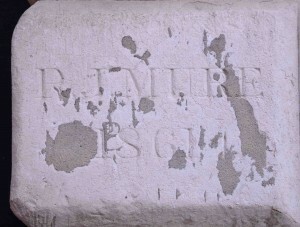 ST.JOHN, AMBROSE, second son of Henry St.John, and Catherine, dau. of Rev.Henry Wigley, Pensham House, Worcs. ; nephew of St.Andrew St.John (qv) ; b. 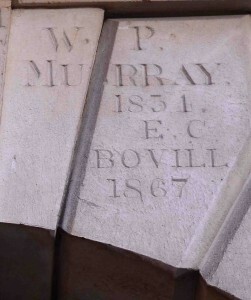 29 Jun 1815 ; adm. 13 Jan 1829 ; KS 1830 ; elected to Christ Church, Oxford 1834, matr. 15 May 1834, Westminster Student ; BA 1838 ; MA 1840 ; ordained deacon (Oxford) 20 Dec 1840, priest (Canterbury) 22 May 1842 ; Curate, Walmer, Kent 1840-5 ; received into Roman Catholic Church Oct 1845 ; accompanied J.H.Newman to Rome 1846, where they joined the Oratorians and were ordained RC priests 1847 ; one of original Oratorian community which Newman established at Maryvale Jan 1848 and which moved to Hagley Road, Edgbaston 1852 ; volunteered with Newman to assist the Catholic priests at Bilston during cholera epidemic 1849 ; Head Master, Oratory School, Edgbaston, from 1862 ; went on mission to Rome 1867 about the Oratory School and the proposed Oratory at Oxford ; broke down from overwork while translating Fessler’s book True and False Infallibility ; called in Rome Newman’s “Angel Guardian”, and, “certainly”, Newman wrote, “he has been to me Azarias, the son of Ananias” (Ward, Life of J.H.Newman, 1912, ii, 410, 412) ; his name is singled out in the concluding paragraphs of the Apologia ; d. 24 May 1875. Buried Rednal, Shropshire, where Newman was later buried in the same grave. MOYSEY, FREDERICK LUTTRELL, third son of Charles Abel Moysey (qv), and his first wife ; b. 9 Nov 1815 ; adm. 9 Jun 1828 (G) ; KS 1830 ; elected to Christ Church, Oxford 1834, matr. 15 May 1834 ; rowed v.Cambridge 1836 ; BA 1838 ; MA 1861 ; ordained deacon (Oxford) 1838, priest (Bath and Wells) 1840 ; Curate, Holy Trinity, Bath 1838 ; Assistant Minister, Margaret’s Chapel, Bath 1839 ; Rector of Combe St.Nicholas, Somerset 1840-61 ; Vicar of Sidmouth, Devon 1861-5 ; m. 29 May 1839 Arabella, eldest dau. of Hon.John Petty Ward ; d. 13 Aug 1906. HARCOURT-VERNON, GRANVILLE EDWARD, eldest son of Granville Harcourt-Vernon (qv) , and his first wife ; b. 23 Nov 1816 ; adm. 16 Sep 1829 ; KS 1830 ; Capt. of the School 1834 ; elected head to Christ Church, Oxford 1835, matr. 4 Jun 1835, Westminster Student ; BA 1839 ; MA 1842 ; Private Secretary to Edward Granville Eliot, 3rd Earl of St Germans (qv), when Chief Secretary for Ireland, and to Earl of Lincoln MP, when Chief Commissioner of Woods and Forests and Chief Secretary for Ireland ; MP (Peelite) Newark 1852-7 ; m. 23 Nov 1854 Lady Selina Catherine Meade, only dau. of Richard Meade, 3rd Earl of Clanwilliam PC GCH, Ambassador at Berlin ; d. 1 Feb 1861. 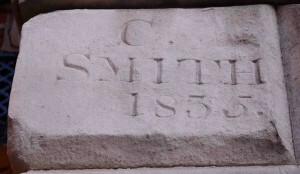 SMITH, CHARLES, son of Samuel Smith (adm.1772, qv) ; b. 19 Oct 1817 ; adm. 15 Jan 1828 (Stelfox) ; KS 1832 ; elected to Christ Church, Oxford 1836, matr. 13 May 1836, Westminster Student ; BA 1840 ; MA 1842 ; ordained deacon (Oxford) 18 Dec 1842 ; Vicar of East Garston, Berks., 1846-51 ; Rector of Boothby Graffoe, Lincs., from 1851 ; m. 30 Jul 1846 Frances, sister of John Fullerton (adm.1816, qv) ; d. 14 Nov 1855. 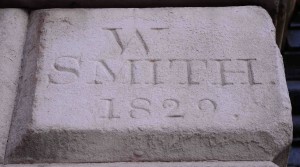 SMITH, WILLIAM, son of Samuel Smith (adm.1772, qv) ; b. 12 Jun 1812 ; adm. 30 Jun 1825 (Stelfox) ; KS 1826 ; rowed v.Eton 27 Jul 1829 ; Christ Church, Oxford, matr. 7 Oct 1831, Canoneer Student 1831-42 ; BA 1835 ; MA 1839 ; ordained deacon 14 Jun 1835, priest 18 Dec 1836 (both Oxford) ; Rector of Dry Drayton, Cambs., 1841-67 ; JP Cambridgeshire ; m. 7 Aug 1851 Constance Margaret, youngest dau. of William Rose Rose, Wolston Heath, Warwicks. ; d. 4 Feb 1886. SUTHERLAND, ALEXANDER JOHN, eldest son of Alexander Robert Sutherland (qv), and his first wife ; b. 7 Apr 1811 ; adm. 14 Sep 1818 ; KS 1825 ; elected to Christ Church, Oxford 1829, matr. 2 Jun 1829, Westminster Student ; BA 1833 ; MA 1835 ; MB 1836 ; MD 1838 ; St.George’s Hospital ; MRCP 1840 ; FRCP 1847 ; succeeded father as Physician, St.Luke’s Hospital, Old Street ; FRS 18 Jun 1846 ; m. Alison Johanna, dau. of John Wilson Carmichael (IGI) ; d. 31 Jan 1867. MARSH, MATTHEW HENRY, eldest son of Rev.Matthew Marsh, Canon Residentiary of Salisbury, and Margaret, dau. of Rev.Peter Bellinger Brodie, Rector of Winterslow, Wilts. ; b. 12 Sep 1810 ; adm. 3 Jun 1822 (G) ; KS 1824 ; elected to Christ Church, Oxford 1828, matr. 16 May 1828, Westminster Student, subsequently Faculty Student ; BA 1833 ; MA 1835 ; adm.Inner Temple 25 Jan 1833, called to bar 29 Apr 1836 ; KC Duchy of Lancaster Dec 1837 – Jan 1840 ; emigrated to Sydney, New South Wales, Australia, 1840, where he made a large fortune and was a member of the Legislative Council 1851-5 ; returned to England 1855 ; MP (Liberal) Salisbury 1857-68 ; DL JP Wiltshire ; m. 25 Jul 1844 Eliza Mary Anne, sister of Sir William Lockyer Merewether (qv) ; d. 26 Jan 1881. Probably: PARTINGTON, THOMAS, eldest son of Thomas Partington (adm.1767, qv) ; b. 3 Oct 1803 ; adm. 23 Jun 1813 ; KS 1818 ; elected to Christ Church, Oxford 1822, matr. 18 May 1822, Westminster Student (still 1829) ; BA 1826 ; MA 1828 ; adm.Middle Temple 10 Jun 1825 ; d. 23 Jul 1830. GRESLEY, RICHARD NEWCOMBE, brother of William Gresley (qv) ; b. 30 Jun 1804 ; adm. 26 May 1815 ; KS 1818 ; elected to Christ Church, Oxford 1822, matr. 18 May 1822, Westminster Student ; BA 1826 ; MA 1828 ; adm.Middle Temple 1 Feb 1826, called to bar 3 Jul 1829 ; equity draftsman, Midland Circuit ; three of his letters, written while he was at school, describing the Coronation of King George IV, are printed Elizabethan xii, 65-6 ; author, A Treatise on the Law of Evidence, 1836 ; d. 10 Jun 1837. PHILLPOTTS, EDWARD COPLESTON, son of Right Rev.Henry Phillpotts DD, Bishop of Exeter, and Deborah Mary, dau. of William Surtees, Hedley, Northumberland, Receiver-Gen. of Durham and Northumberland ; b. 25 Nov 1812 ; adm. 11 Apr 1825 ; KS 1827 ; rowed v.Eton 12 May 1831 ; Oriel Coll.Oxford, matr. 1 Feb 1832 ; BA 1835 ; ordained deacon 1835, priest 1836 ; Rector of St.Michael’s, Sutton Bonington, Notts., 27 Jan 1837 ; Vicar of Newlyn, Cornwall 24 Nov 1838 ; Rector of Stoke-in-Teignhead, Devon 26 Nov 1838 ; Vicar of Lezant, Cornwall 1847 ; m. 1840 Georgiana Lukin, dau. of Rev.Robert Fitzwilliam Hallifax, Rector of Richards Castle, Shropshire ; d. 27 Jan 1866. BROWN, GEORGE FRANCIS, son of John Brown, Batcombe, Somerset ; b. 12 Nov 1828 ; adm. 28 Sep 1841 ; QS 1843 ; elected to Trinity Coll.Cambridge 1847, adm.pens. 13 May 1847, scholar 1848, matr.1847 ; ordained deacon 1854 (Guiana), priest 1857 (Bath & Wells) ; Curate, St.Ives, Cornwall, 1859, subsequently Batcombe, Somerset, and Bridport, Dorset ; d. 14 Jun 1872. HEMERY, JAMES, son of Clement Hemery, Jersey ; b. 30 Apr 1814 ; adm. 15 Jan 1827 (G) ; KS 1828 ; rowed v.Eton 12 May 1831 ; elected to Trinity Coll.Cambridge 1833, adm.pens. 4 Jun 1833, scholar 1834, matr.Mich.1833 ; 7th Wrangler 1837 ; BA 1837 ; MA 1840 ; Minor Fellow, Trinity Coll. 1839, Major Fellow 1840, Assistant Tutor 1839-44 ; ordained deacon 23 May 1841, priest 27 Nov 1842 (both Ely) ; Dean of Jersey and Rector of St.Helier’s from 1844 ; m. 15 May 1845 Ellen Charlotte, youngest dau. 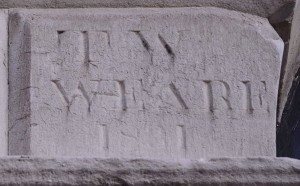 of Thomas Newcourt ; d. 22 Nov 1849. PARRY, GEORGE FREDERICK, eldest son of George Parry, Egham, Surrey, EICS Bombay, and Lydia — ; b. 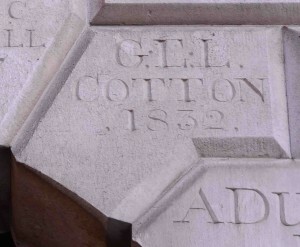 8 Dec 1794 ; adm.1805, first quarter ; KS 1809 ; left 1812 ; Trinity Coll.Cambridge, adm.pens. 1 May 1813 ; 11th Wrangler 1817 ; BA 1817 ; MA 1822 ; played cricket for Gentlemen v.Players 1819, 1820, 1829 ; a fine batsman and magnificent fielder ; adm.Lincoln’s Inn 26 Oct 1815, called to bar 25 May 1821 ; practised before Supreme Court, Bombay 1822-8 ; returned to England 1828 ; m. 30 Jun 1831 Augusta Mary, sister of William Richardson Graham (qv) ; d. at Menton, France 11 Jan 1872. HENDERSON, THOMAS, third son of Francis Henderson, Streatham, Surrey, and Elizabeth Child ; nephew of John Henderson (qv) ; b. ; adm. 24 Sep 1811 ; KS (aged 14) 1815 ; elected to Christ Church, Oxford 1820, matr. 12 May 1820, Westminster Student (still 1829) ; ordained deacon 1824, priest 1825 ; Vicar of Messing, Essex, from 4 Jan 1828 ; Rector of Colne Wake, Essex 11 Mar 1831-46 ; Prebendary of St.Paul’s from 25 Nov 1842 ; m. 19 Jul 1832 Frances, eldest dau. of Rev.Charles Dalton, Vicar of Kelvedon, Essex ; d. 4 Aug 1861. 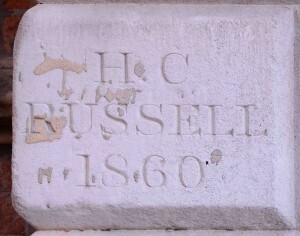 RUSSELL, HENRY CHARLES, eldest son of Lord Charles James Fox Russell (qv) ; b. 30 Oct 1842 ; adm. Jan 1855 (G) ; left 1860 ; Trinity Coll.Cambridge, adm.pens. 8 Dec 1860, matr.1861 ; LLB 1866 ; ordained deacon 1866, priest 1867 (both York) ; Curate, Doncaster, Yorks., 1866-9 ; Vicar of Wentworth, Yorks., 1868-76 ; Rector of Wollaton, Notts., from 7 Jan 1876 ; m. 10 Feb 1876 Hon.Leila Louisa Millicent Willoughby, second dau. of Henry Willoughby, 8th Baron Middleton ; d. 20 Jul 1922. MURE, ARTHUR HENRY, son of James Mure (adm.1807, qv), and his second wife ; b. 22 Jul 1847 ; adm. 30 May 1861 ; QS 1862 ; left May 1866 ; a brewer at Hampstead, firm Mure, Warner, & Co. ; m. 4 Feb 1875 Georgina Frederica, dau. of Capt.George Frederick Dawson, Royal Engineers ; d. 12 Feb 1931. MURE, REGINALD JAMES, eldest son of James Mure (adm.1807, qv), and his second wife ; b. 22 Dec 1842 ; adm. 22 May 1856 ; QS 1857 ; elected to Christ Church, Oxford 1861, matr. 23 May 1861 ; BA 1866 ; MA 1873 ; adm.Lincoln’s Inn 26 Oct 1866, called to bar 17 Nov 1869 ; equity draughtsman and conveyancer ; Secretary to Sir Robert Joseph Phillimore, Bart. (qv) 1878-83 ; Treasurer, Elizabethan Club 1872-95 ; Busby Trustee 22 May 1900 ; joint editor with James Gow and John Sargeaunt of Lusus Alteri Westmonasterienses iii, 1906 ; m. 23 Dec 1878 Anna Charlotte, dau. of Sheffield Neave, Oakhill, Hampstead, Middlesex ; d. 23 Dec 1908. 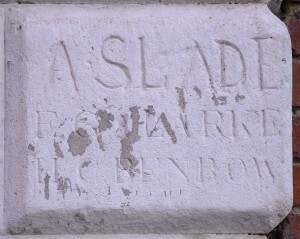 Probably SLADE, SIR ALFRED FREDERICK ADOLPHUS, BART., eldest son of Sir Frederick William Slade, Bart. (qv) ; b. 28 May 1834 ; adm. 25 Jun 1846 (G) ; QS 1849 ; cut “A.Slade” in huge letters on the Dryden form, and is said to have got 500 lines for each letter (Elizabethan vi, 190) ; left 1853 ; Trinity Coll.Cambridge, adm.pens. 12 May 1853, matr.Mich.1853 ; Ensign, 57th Foot 15 Sep 1854 ; Lieut., 9 Feb 1855 ; Capt., 23 Aug 1859 ; 100th Foot 17 Apr 1860 ; retd. 9 Jun 1865 ; served in Crimean War, wounded in attack on the Redan 18 Jun 1855, and in Indian Mutiny ; succ.father as 3rd baronet 8 Aug 1863 ; adm.Middle Temple 9 Nov 1866 ; Receiver-Gen., Inland Revenue, from 1875 ; one of founders of Primrose League 1883 ; m. 6 Sep 1860 Mary Constance, second dau. of William Cuthbert, Beaufront Castle, Northumberland ; d. 19 Jul 1890. CLARKE, FREDERICK GARNETT, brother of Francis Richard Clarke (qv) ; b. 16 Jan 1862 ; adm. (G) 27 May 1875 ; left Aug 1880 ; in nitrate industry at Valparaiso, Chile ; m. 1st, 14 Sep 1886 Penelope, dau. of George Petrie, De Vere Gardens, Kensington, shipowner ; m.2nd, Laura, dau. of Alberto Alibaud, Santiago, Chile. BENBOW, HERBERT CLIFTON, son of John Benbow, Uxbridge, Middlesex, merchant, and Adela, dau. of Daniel Tookey ; grandson of Clifton Benbow (qv) ; b. 4 Oct 1861 ; adm. as exhibitioner (G) 27 May 1875 ; QS 1876 ; elected to Trinity Coll.Cambridge (with Triplett) 1880, adm.pens. 1 Jun 1880, matr.Mich.1880 ; BA 1884 ; MA 1910 ; a schoolmaster at Cargilfield Sch., Cramond Bridge, Midlothian, 1883-1927 ; d. 2 Feb 1941. MADAN, SPENCER, eldest son of Spencer Madan (adm.1806, qv) ; b. 6 Oct 1791 ; adm. 13 Apr 1803 ; KS 1806 ; elected head to Trinity Coll.Cambridge 1810, but went to Christ Church, Oxford, matr. 8 Jun 1810, Canoneer Student ; 1st cl.Mathematics 1813 ; BA 1814 ; MA 1816 ; tutor to the younger sons of Charles, 4th Duke of Richmond, and as such present at the Duchess of Richmond’s ball at Brussels 15 Jun 1815 (Notes and Queries, 11th Series, xii, 1, 21) ; ordained ; Curate, Nether Seale, Leics. 1816-24 ; Prebendary of Lichfield from 4 Dec 1817 ; Vicar of Batheaston, Somerset, from 3 Oct 1824 ; Vicar of Twerton, Somerset 6 Oct 1825 ; m. 26 Jul 1825 Louisa Elizabeth, sister of Sir William Nigel Gresley, Bart. (qv) ; d. 27 Aug 1851. 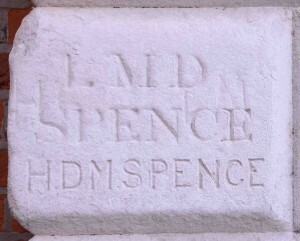 SPENCE, LANCELOT MOLYNEUX DALRYMPLE, brother of Henry Donald Maurice Spence-Jones (qv) ; b. 14 Sep 1837 ; adm. from King’s Coll.Sch. 10 Jun 1852 ; QS 1853 ; left Aug 1855 ; Clerk, Board of Trade, from Nov 1855 ; d. 4 Jul 1865. SPENCE-JONES, HENRY DONALD MAURICE, eldest son of George Spence QC MP, Pall Mall, London, barrister, and Caroline — (IGI) ; b. 14 Jan 1836 ; adm. from King’s Coll.Sch. 30 May 1850 ; BB 6 Mar 1852 ; QS 18 May 1852 ; left 1854 ; entered Civil Service ; Private Secretary to Sir Douglas Galton, Railway Secretary to Board of Trade ; Corpus Christi Coll.Cambridge, matr.Mich.1861 ; 1st cl.Theology 1865, 1866 ; BA 1865 ; MA 1868 ; DD 1887 ; ordained deacon 1865, priest 1866 (both St.Davids) ; Prof. of English Literature and Hebrew lecturer, St.David’s Coll., Lampeter 1865-70 ; Rector of St.Mary le Crypt, Gloucester 1870-7 ; Principal, Gloucester Theological Coll., 1875-7 ; Hon.Canon, Gloucester 1875-86 ; Vicar of St.Pancras, London 25 Sep 1877-86 ; Dean of Gloucester from 18 Dec 1886 ; Select Preacher, Cambridge 1883, 1887, 1901, 1905, Oxford 1892, 1893 ; Professor of Ancient History, Royal Academy, from 1905 ; assumed additional surname of Jones 1904 ; JP Cardiganshire ; joint editor, Pulpit Commentary, 48 vols, 1880-94 ; author, Early Christianity and Paganism, 1902, and various other works ; m. 11 Apr 1871 Louise Madeline Maria, younger dau. of David Jones MP, Pantglas, Llanfynydd, Carmarthenshire ; d. 2 Nov 1917. 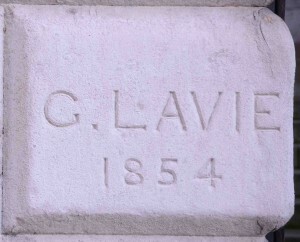 LAVIE, GERMAIN, brother of Tudor Lavie (qv) ; b. 17 Mar 1836 ; adm. 18 Jan 1849 ; QS 1850 ; elected head to Christ Church, Oxford 1854, matr. 8 Jun 1854, Westminster Student 1854-61 ; 1st.Cl.Mods 1856 ; 4th cl. Lit.Hum. 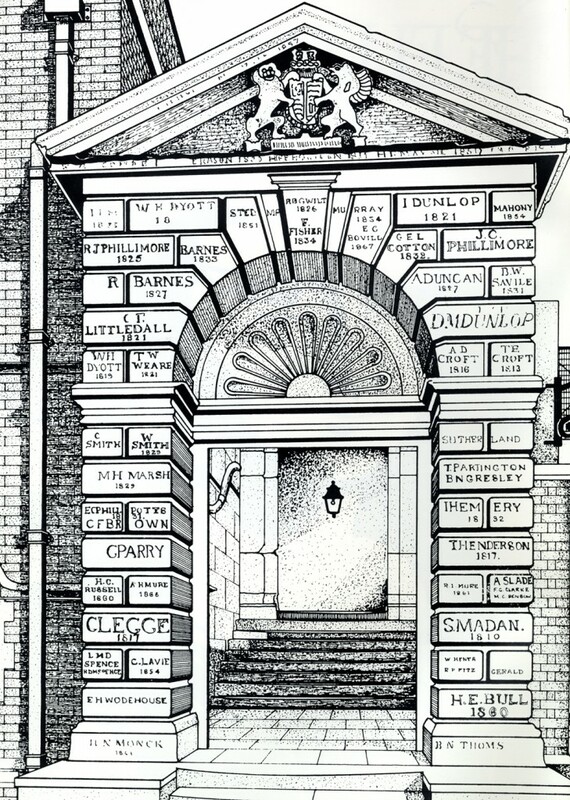 and 4th cl.Law and History 1857 ; BA 1858 ; MA 1861 ; Clements Inn Prize ; adm.solicitor Trinity 1861 ; one of the Chancery Registrars from 1882 ; Busby Trustee 27 Jun 1897 ; author, The Westminster Play, its Actors and its Visitors, 1855 ; m. 3 Sep 1861 Myra Isabella, sister of Wilson Ashurst Hetherington (qv) ; d. 16 Jul 1901. HENTY, WALTER, son of George Henty, Chichester, Sussex, and Maria, dau. 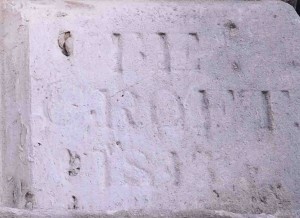 of Cornthwaite John Hector, Stodham, Hampshire, banker ; b. 16 May 1840 ; adm. 3 Oct 1850 ; QS 1854 ; elected head to Trinity Coll.Cambridge (with Dean Thomas) 1858, adm.pens.9 Jun 1858, matr.Mich.1858 ; BA 1862 ; MA 1866 ; adm.Inner Temple 5 Nov 1862 ; dir.George Henty and Sons, brewers, Chichester ; of Beddington Place, near Croydon, Surrey ; m. 3 Mar 1874 Edith Mary, youngest dau. of Thomas Hankey, Chester Square, London ; d. 7 Apr 1914. UNIACKE-PENROSE-FITZGERALD, SIR ROBERT UNIACKE, BART., eldest son of Robert Uniacke Penrose-Fitzgerald (formerly Penrose), Corkbeg Island, co.Cork, Ireland, and Frances Mary, dau. of Rev.Robert Austin LLD, Prebendary of Cloyne ; b. 10 Jul 1839 ; adm. 26 May 1853 (G) ; Trinity Hall, Cambridge, adm.pens. 30 Jan 1859, matr.Lent 1859 ; won the University Pairs with James Penrose Ingham (qv) 1860 ; rowed v.Oxford 1861, 1862 ; LLB 1863 ; LLM 1872 ; travelled in India and Tibet 1863-7 ; MP (Conservative) Cambridge 1885-1906 ; assumed additional surname of Uniacke 26 Jun 1896 ; created baronet 4 Aug 1896 ; President, Yacht Racing Association ; of Corkbeg Island, co.Cork ; DL JP co.Cork ; Busby Trustee 25 May 1889 ; m. 13 Sep 1867 Jane Emily, eldest dau. of Gen.Sir William John Codrington GCB ; d. 10 Jul 1919. WODEHOUSE, EDMOND HENRY, seventh son of Rev.Thomas Wodehouse, Prebendary of Wells, and Anne, sister of Walker King (qv) ; grandson of Thomas Wodehouse (qv) ; b. 17 Feb 1837 ; adm. 17 Jun 1850 ; QS 1851 ; elected to Christ Church, Oxford 1855, matr. 7 Jun 1855, Westminster Student 1855-64 ; 1st cl.Classics (Mods) 1857, 2nd cl.Lit.Hum.1859 ; BA 1859 ; MA 1862 ; adm.Lincoln’s Inn 25 Jan 1860, called to bar 26 Jan 1863 ; Inspector of Poor Law Schools 1863-71 ; Local Government Board Inspector 1871-86 ; Chief General Inspector and Assistant Secretary, Local Government Board 1886-91 ; a Commissioner of Inland Revenue 1891-1902 ; CB 1 Jan 1897 ; JP Buckinghamshire 1906 ; m. 26 May 1864 his cousin Louisa Clara, fourth dau. of Rev.Nathaniel Wodehouse, Vicar of Dulverton, Somerset ; d. 27 Mar 1923. BULL, HENRY EDWARD, elder son of Henry Bull (qv) ; b. 8 Mar 1843 ; adm.4 Oct 1856 ; Christ Church, Oxford, matr.16 Oct 1861 ; played cricket v.Cambridge 1863, and for Gentlemen v.Players 1864 ; hon.sec. and treasurer, Buckinghamshire County Cricket Club ; landowner ; JP (1889) Buckinghamshire ; m. 1st, 24 Sep 1867 Florentia, elder dau. of William Watts, Hanslope Park, Bucks. ; m.2nd, by 1881, Caroline H. — ; d. 31 May 1905. MIDDLETON, HENRY NICHOLAS, second son of Charles Atticus Monck (qv) ; b. 27 Jul 1845 ; adm. Jun 1854 (G) ; rowed v.Eton 2 Aug 1861, 1 Aug 1862 ; left Aug 1862 ; Ensign, Rifle Brigade 10 May 1864 ; Lieut., 1 Aug 1868 ; retd. Jun 1870 ; partner in firm Lambton & Co., bankers, Newcastle-upon-Tyne, from 1880 until the bank’s amalgamation with Lloyds Bank 1908 ; assumed surname of Middleton in lieu of Monck 12 Feb 1876 ; DL Northumberland, JP Northumberland 1881 ; Vice-Chairman, Northumberland County Council ; JP Roxburghshire ; m. 2 Mar 1872 Sophia Elizabeth, eldest dau. of Sir William Colles Meredith, Kt, Chief Justice of Quebec ; d. 6 Dec 1928. THOMS, BERNARD NATHANIEL, youngest son of William John Thoms FSA, Assistant Librarian, House of Lords, founder Notes and Queries, and Laura, youngest dau. of John Bernard Sale, Organist of St.Margaret’s, Westminster, and Gentleman of the Chapel Royal ; b. 10 Dec 1843 ; adm. 27 Sep 1855 ; rowed v.Eton 3 Aug 1860, 2 Aug 1861, 1 Aug 1862 ; left Aug 1862 ; Assistant Surveyor-Gen., Post Office (in 1881) ; Postmaster at Nottingham ; Hon.Secretary, Elizabethan Club 1864-7 ; [unm. in 1881] ; d. 16 Jul 1908.